Heifers must be purchased at Greenville Livestock Auction or home raised. They must be GLA Vac2 vaccinated at weaning. They need vaccinated with Virashield 6 VL5 HB or comparable product twice before breeding with 30 days between vaccines. Must be treated for internal & external parasites. Heifers must be pelvic measured & trac scored. They must have good eyes, no horns, & be structurally sound. Minimum pelvic measurements are 160 cm2 at 700 lbs. Then at preg check time or 5-6 months from first measurement minimum 180 cm2 . If A-I bred don’t turn cleanup bull in for at least 14 days. Breeding season must be limited to 75 days or less. 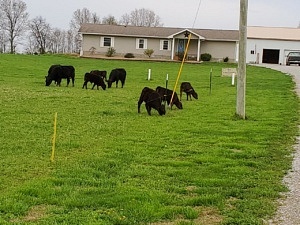 Whereas, Owner desired to lease to Producer, and Producer desires to lease from Owner, on the terms hereinafter agreed upon, the beef bred heifers as set forth herein. 1. Lease of Beef Cattle. Owner leases to Producer the beef bred heifers as identified on and subject to the specifications set forth on Exhibit A hereto. Producer shall pay to Owner the sum(s) set forth on Exhibit A. 2. Delivery. All beef bred heifers shall be F.O.B. at Owner’s designated location for each such animal. For the avoidance of confusion, Producer shall be responsible for all transportation costs to transport the beef bred heifers from Owner’s facilities (the designated location) to the Producer’s designated location. 3. Identification. 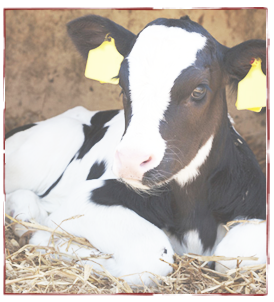 All beef bred heifers shall be branded and/or micro-chipped, and ear-tagged with unique identification numbers applied or assigned by Owner at Owner’s location. Said identification shall identify each such beef bred heifer as being owned by Owner. Producer shall not remove or alter any identification so provided, and Producer shall immediately notify Owner if any identification is lost, missing or damaged in any way or for any reason. a. Owner has reasonably acted to confirm that each beef bred heifer is in good health and condition upon delivery of possession. b. Owner has the full power and authority to transfer and deliver each beef bred heifer to Producer. a. has the necessary skill, finances and knowledge to perform in accordance with the terms and conditions of this Agreement. b. shall, at Producer’s sole cost and expense, use all reasonable efforts and skills to appropriately care for all beef bred heifers, which efforts shall include, but not be limited to, providing all feed, feed supplements and water; provided that at all times and in all instances Producer shall act in a manner that is in accordance with the best practices of animal husbandry in the general geographic region in which Producer’s beef cattle production facility housing each such beef cattle shall be located. c. shall, not less than daily, inspect the beef bred heifers for health and welfare issues including, but not limited to, disease and/or sickness. 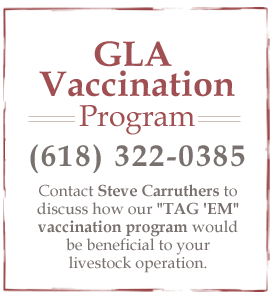 d. shall, at Producer’s sole cost and expense, obtain any and all reasonable and necessary veterinary care for all beef bred heifers. e. shall keep and maintain, and make available to Owner at any time, all records relating to the feeding, care and veterinary service as to each beef bred heifer, and any records required to for Producer to comply with any federal, state or local statute, law, rule, regulation and/or ordinance. f. shall keep and maintain, at Producer’s sole cost and expense, property insurance on all beef bred heifers in an aggregate amount of not less than Two Thousand Five Hundred and 00/100 Dollars ($2,500.00) per head, for all perils, with Owner listed as the loss payee. g. shall, during the term of this lease, keep and maintain, at Producer’s sole cost and expense, general public liability insurance against claims for personal injury, death or property damage occurring from the caring of the beef bred heifers, such insurance to afford protection to the limit of not less than $1 Million with respect to injury or death of a single person, to the limit of not less than $3 Million with respect to any one accident, and to not less than $250,000 with respect to property damage, written by a company licensed to do business in the State of Illinois with a Best rating of A or better, and with Owner listed as an additional insured on any such policy. h. shall provide Owner with a Certificate of Insurance for the policies covered in subsections (f) and (g) of the section within ten (10) days of the date hereof. i. shall purchase approved bull from the Annual Bull sale Greenville Livestock Auction or lease approved bull from Lessor approved by Greenville Livestock Auction. 6. Inspection. Producer shall furnish Owner with the address and location where the beef bred heifers will be cared for. Owner shall have the right at any time to inspect the beef bred heifers regardless of the location of such animals. Should the beef bred heifers be located on property not owned or controlled by Producer, Producer shall obtain for Owner such permission as is necessary for Owner, or its agents or representatives, to gain access to such property for the purpose of inspecting the beef bred heifers located thereon. 7. Term. The term of this Agreement shall begin on______________, 20___ (“Start Date”), and continue for five (5) consecutive years unless Owner elects upon not less than thirty (30) days written notice to terminate this Agreement, at which time all amounts remaining due hereunder shall be due and payable in full. 8. Indemnification. Producer agrees to defend, indemnify and hold Owner harmless from and against any and all claims, suits, damages or losses of any nature arising by virtue of or reason of this Agreement, and to pay all of Owner’s actual court costs and expenses along with Owner’s reasonable attorneys’ and professional fees. 9. Default. Should Producer default upon or breach this Agreement, Owner shall be entitled to all remedies available at law and equity, including, but not limited to, the unpaid and remaining amounts to from Producer to Owner pursuant to this Agreement, termination of this Agreement, and immediate repossession of the beef bred heifers. If there be more than one party as a Producer, each shall be jointly and severally liable hereunder. 10. Sale of Offspring. As and for additional consideration, Producer agrees to market and sell all offspring from any beef heifer or cow through the auction provided by Greenville Livestock Auction, Inc., in Greenville, IL, at their November or December Feeder Cattle Special. All offspring shall, at Producer’s sole cost and expense, be certified as Greenville Livestock Auction (GLA) VAC2 calves and shall meet all other requirements of and be eligible for sale as herein required, including the restriction that each individual animal weigh 500 pounds or more. Delivery of any offspring to Owner’s auction shall be at Producer’s sole cost, expense and risk. 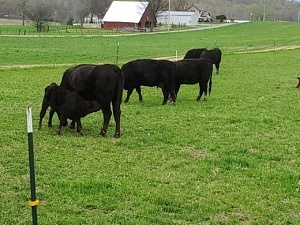 This requirement for the sale of offspring shall remain in place until Producer has marketed at least five (5) calves per heifer leased through Greenville Livestock Auction, Inc. from each beef bred heifer leased hereunder. 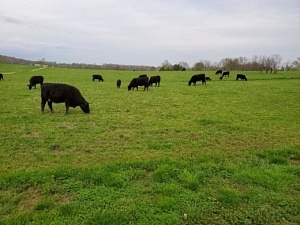 Producer agrees to market all livestock owned by him through Greenville livestock Auction through the duration of this lease. 11. Payments. Producer agrees to pay all lease payments on time, in accordance with this Agreement. The first payment shall be due within thirteen (13) months of the signing of this lease, and annually thereafter until five (5) turns of offspring have been sold (pursuant to Paragraph 10). At Owner’s sole discretion, payments hereunder shall be deducted from Producer’s proceeds of the sale of the offspring from the beef bred heifers. Producer may choose to pay the entire lease balance at any time. 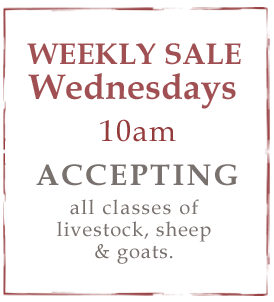 a. payment will be due at signing of lease for all vet, UCC1, tagging and branding fees. 12. Grant of Security Interest. To secure payment to Owner, Producer pledges and grants to Owner a security interest in and to all of the beef bred heifers and offspring, and replacements thereof, and any proceeds or replacements therefor, and this Agreement shall constitute a security agreement therefore. Producer certifies that the above Name and Address is true, accurate and complete, and that Producer will not change such Name or Address without providing notice thereof to Owner within ten (10) days. Producer also authorizes, at Producer’s expense, the filing of a UCC-1 Financing Statement by Owner with respect to the security interest hereby granted and, unless otherwise agreed to in writing, agrees to immediately reimburse Owner for all such expenses reasonably related thereto. In addition, Owner shall have the right to inform all surrounding auction sites and sale barns of its lien over the beef bred heifers by way of direct communication, general announcement, or both. 13. To the extent that any other individual or entity (“Third Party Creditor”) would have a security interest in the beef bred heifers, or their offspring, which would be first in priority to Owner’s security interest pursuant to Paragraph 12, Producer shall, at its sole cost and expense, obtain a release or subrogation of said priority security interest from said Third Party Creditor, and present to Owner at the signing of this lease. 14. Notice. Any notice under this Agreement shall be in writing and shall be effective when actually delivered in person or three (3) days after being deposited in the U.S. mail, registered or certified, postage prepaid and addressed to the party at the address stated in this Agreement or such other address as either party may designate by written notice to the other in accordance herewith. 15. Time. Time is of the essence as to any payments or actions required or implied by this Agreement. 16. Waiver. Failure of either party at any time to require performance of any provision of this Agreement shall not limit the party’s right to enforce the provision, nor shall any waiver of any breach of any provision be a waiver of any succeeding breach of any provision or a waiver of the provision itself for any other provision. 17. Assignment. Except as otherwise provided within this Agreement neither party hereto may transfer or assign this Agreement without prior written consent of the other party. 18. Law Governing. This Agreement shall be governed by and construed in accordance with the laws of the State of Illinois. 19. Attorney Fees, Costs and Expenses. In the event any lawsuit or action is brought by any party under this Agreement to enforce any of its terms, or in any appeal therefrom, it is agreed that the prevailing party shall be entitled to reasonable attorneys’ fees, costs and expenses to be fixed by the trial court and/or appellate court. among the parties and supersedes any prior understandings and agreements among them respecting the subject matter of this Agreement. 21. Agreement Binding. This Agreement shall be binding upon the heirs, executors, administrators, successors and assigns of the parties hereto. 22. Further Action. The parties hereto shall execute and deliver all documents, provide all information and take or forbear from all such action as may be necessary or appropriate to achieve the purposes of this Agreement. 23. Counterparts. This Agreement may be executed in several counterparts and all so executed shall constitute one Agreement, binding on all the parties hereto even though all the parties are not signatories to the original or the same counterpart. 24. Savings Clause. If any provision of this Agreement, or the application of such provision to any person or circumstance, shall be held invalid, the remainder of this Agreement, or the application of such provision to persons or circumstances other than those as to which it is held invalid, shall not be affected thereby. 25. Representation. The parties acknowledge that only Owner, and not Producer, has been represented in this transaction: Oldfield Myers Apke & Payne Law Group Ltd. representing the Owner. Producer has been advised to obtain legal advice in connection with this transaction and by signing this Agreement is indicating that Producer has had the benefit of such advice or knowingly waives such opportunity and voluntarily elected to execute this Agreement and assume the duties, obligations, risks and benefits hereof. IT IS SO AGREED as of the date first set forth above.